Introducing a new design to Kerala home design viewers, Future Homes from Kollam, Kerala. Total area of this house is 2970 Square Feet (276 Square Meter) (330 Square Yards) 3 bedroom placed on ground floor and 1 bedroom on the first floor. Ground floor Area : 1920 sq.ft. Total Area : 2970 sq.ft. 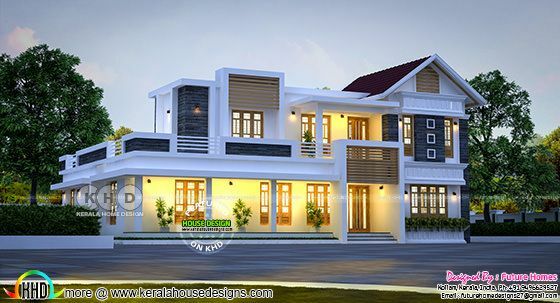 0 comments on "Mix roof home by Future Homes from Kollam"